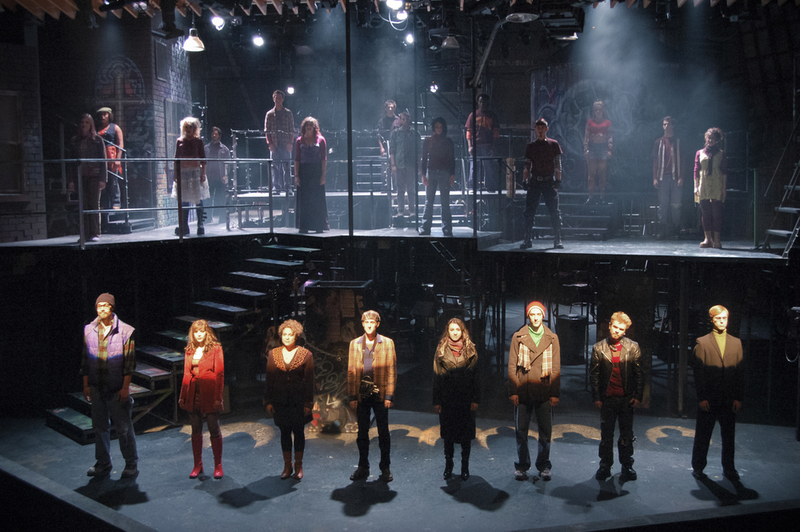 Rent takes place in Alphabet City in the early 1990s. My goal was to convey the never-ending expanse of New York City with buildings, fire escapes, and ladders extending out of sight in all directions. At the same time it was important that the design reflect the tightly-knit family formed by the characters. 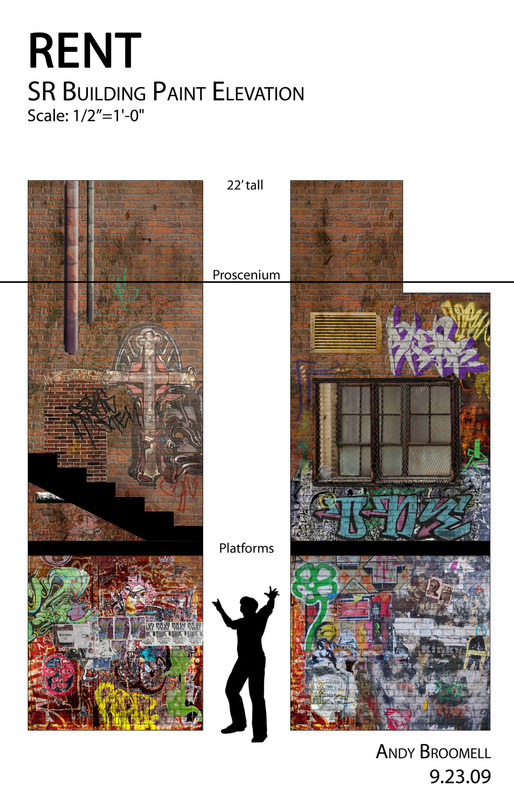 The graffiti and street art within the set played a major role in crafting the environment. For example, the moon (a motif throughout the show) appeared within the water tower’s graffiti when lit in a certain way, and a large painted cross on the tall building established the church scene. The street art also included wheat-pasted paper art, layers of rock band posters, yarn weavings within hand rails, chair sculptures, stickers, etc.